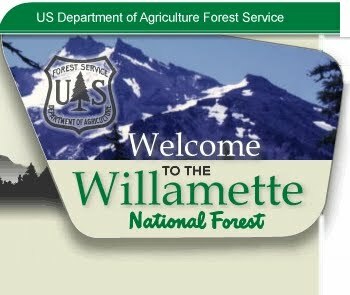 For the hiking, camping, biking, base jumping, whitewater, geological, treehugging, granola nuttycrunchy enthusiast in all of us, check out the Willamette National Forest's website. They've got trip planning guides, maps, and great photos of forest sites. Eric's note: Fishing trout and camping on the McKenzie River Trail is something everyone should do while living in Oregon. The trail runs from McKenzie Bridge all the way past Clear Lake (East on hwy 126). It's 27 mi. and makes for one of the best mountain bike trails (a great day trip). I'm going to do the entire trail over a 3-day span at some point. Nudge me this summer if you want to go. Melanie's note: You can take your bike and yourself on the LTD bus #91 to Mckenzie Bridge, no-car-necessary-camping! Plan your trip around the limited bus schedule. Want to experience the wilderness while meeting new people? Want to plan and lead your own outing but lack the transportation or gear? Sign up with the UO Outdoor Program. Go to ODOT to check the roads and weather before you leave - they have live webcams across the state.